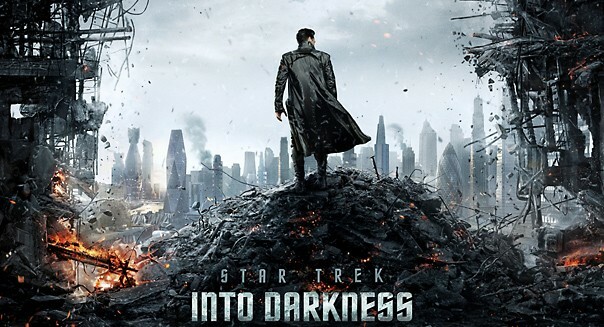 "Star Trek Into Darkness," the second installment in J.J. Abrams' reimagining of the Viacom (VIA) sci-fi franchise that dates back to 1966, opens in 336 domestic IMAX (IMAX) theaters Wednesday and then nationwide on Friday. Overseas, the film is already a hit, having earned $31.7 million in seven international markets last weekend. Rumors abound for what fans can expect to see in "Darkness," chief among them that it's an updated spin on the 1982 classic "Star Trek II: The Wrath of Khan," with British actor Benedict Cumberbatch cast as the villain. I'm not entirely sure what to think, but as a longtime Trekkie you can count me among the many itching to see the film. More than 78,000 commenters at Rotten Tomatoes say they are too, while 88 percent of critics surveyed rate the sequel "fresh." What Stock would Spock be? The beauty of "Star Trek" is found in the richness of the universe developed and enhanced over nearly five decades, six TV series, and 12 films that have spawned fan-authored books and games. The closest thing we have on Earth to the vast "Trek" universe is the turbulent sea of thousands of equities traded on our stock exchanges. The late Steve Jobs ran as hot and cold as Spock's half-human heart while burning with a passion for perfection. The Apple culture he left behind offers little room for the illogical. This once-mighty smartphone empire has fallen into disrepair like the slums of Kronos, yet packs plenty of punch in the new Z10 handset. Still, the company's best days may be behind it. Is there a tech titan with a bigger appetite than Cisco, which is well known for absorbing start-ups into its data networking empire? According to its investor relations website, this year alone, the company has already assimilated four companies. Star Trek race: The Borg. The world's biggest garage sale is home to millions of greedy bargainers looking to make a deal. Or better yet, a steal. Watch out you don't get sniped. In just nine years, the social network has grown to serve roughly one-seventh of the population of Planet Earth. You'd have to travel to another galaxy to find a species that multiplies faster. Unruly, chaotic, but finding a way to grow despite varying and intermittent flaws in its products and business strategy. (Cough) Google Wave (cough). Not even an intoxicated Zefram Cochrane could keep these rebels from getting to warp. Extremely powerful warmongers with a reputation for creating some of the universe's most powerful technology. To this day, Windows is like the cloaking device of the tech industry. Despite this, Microsoft's adversaries -- e.g., Apple -- have a habit of beating the odds and defeating it. Like the "Star Trek" universe, the business world offers abundant of opportunities to explore. Weigh in below with your nominees for the most Khan-like company on Earth. Tim Beyers owns shares of Apple and Google. The Motley Fool recommends Apple, Cisco Systems, eBay, Facebook, and Google. The Motley Fool owns shares of Apple, eBay, Facebook, Google, and Microsoft.